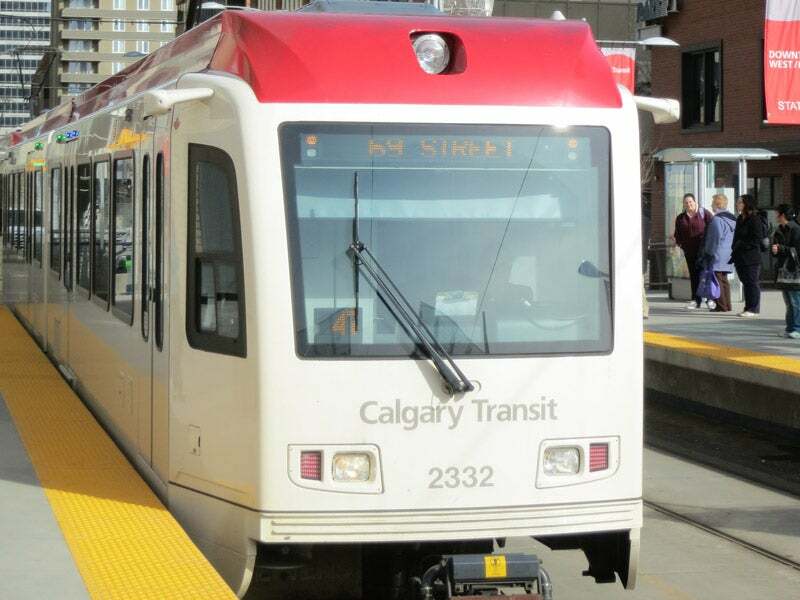 Green Line LRT is a priority transport project for Calgary. Image courtesy of LRT on the GREEN Foundation. The proposed line will add 50km to the existing LRT network and will connect North Pointe and Seton to downtown. Image courtesy of The City of Calgary. A total of 28 stations are planned along the route. Image courtesy of The City of Calgary. The Green Line LRT project received $1.53bn in funding in July 2015, making it the biggest infrastructure investment in the history of Alberta. The Green Line is a light rail transit (LRT) line to be constructed in Calgary, Canada. It will serve an estimated 41 million passengers a year. Forming an important part of Calgary’s transit network, the LRT line is the highest priority public transit project. Planned to connect North Pointe and Seton to downtown, the transit service will provide improved mobility in north and southeast Calgary. The project is estimated to cost between $4bn and $5bn and is part of the city’s 30-year strategic plan for transit, RouteAhead. The Green Line will run for 50km from North Pointe to Seton, and will add to the existing 59km LRT system. It will be developed in three phases; the Green Line North LRT, Green Line North Transitway and Green Line Southeast Transitway. Previously known as the North Central LRT, the Green Line North LRT is the northern segment of the line. Its route was approved by the city council in 2015, after two years of extensive public consultation and technical analysis. The Green Line North Transitway is currently in the planning and design phase after it was approved as part of the RouteAhead initiative. The Green Line Southeast Transitway, previously SETWAY, will be developed in stages and link downtown to the far south of the city. This segment of the project consists of developing 13km of dedicated bus rapid transit that will eventually be converted into a LRT system. The LRT will run across the city and connect the downtown area with the residential hub of north and southeast Calgary. It will also provide a direct link to the new South Health campus, recreation centres, employment centres and business revitalisation areas. The line will connect the area to the newly constructed $168m national music centre, the $245m central library and Stampede Park, as well as Calgary International Airport, which is currently undergoing a $2bn expansion. "The LRT will run across the city and connect the downtown area with the residential hub of north and southeast Calgary." The city stations are to be constructed on Eau Claire, 7 Avenue S, Centre Street S and 4 Street S.E. The northern stations are to be located at 9 Avenue N, 16 Avenue N, 28 Avenue N, 40 Avenue N, McKnight Boulevard, 64 Avenue N, 72 Avenue N, Beddington Boulevard, 96 Avenue N and North Pointe. The stations planned for the southeast are Inglewood / Ramsay, 26 Avenue S.E., Highfield, Lynnwodd / Millican, Ogden, South Hill, Quarry Park, Douglas Glen, Shepard, Prestwick, McKenzie Towne, Auburn Bay / Mahogany, Hospital, and Seton. The project is being developed under a public-private partnership and received $1.53bn from the public transit fund in July 2015, making it the biggest infrastructure investment in Alberta’s history. It also received a grant of $8m from the government of Alberta Green Transit Incentives Program (GreenTRIP). The federal money covers one third of the total project cost, while the remainder will be funded by the city. "The Green Line will operate low-floor trains with three cars and a capacity of 780 passengers." In November 2013, a dedicated fund was set up by the city council to promote and develop the north central and southeast transit corridors. The council also provided funds for conducting studies and early designs from 2013 to 2015. Construction on small related road improvement projects is expected to start in June 2016, with major construction work on the Green Line expected to commence in June 2017. The project will begin operation in phases starting from December 2024. Hatch Mott MacDonald is the prime consultant for the project. IBI Group is providing land use planning for transit-oriented development, bus rapid transit, and traffic simulation. The stations for the southeast segment will be designed by Coriolis, who will also assist in preparing a conceptual development plan for the stations. Harsco Rail, a division of Harsco Corporation, is a major international supplier of track construction and railway maintenance equipment to the world’s railways and transit systems.